We consider evolutions for a material model which couples scalar damage with strain gradient plasticity, in small strain assumptions. For strain gradient plasticity, we follow the Gurtin–Anand formulation (J Mech Phys Solids 53:1624–1649, 2005). The aim of the present model is to account for different phenomena: On the one hand, the elastic stiffness reduces and the plastic yield surface shrinks due to material’s degradation, on the other hand the dislocation density affects the damage growth. The main result of this paper is the existence of a globally stable quasistatic evolution (in the so-called energetic formulation). Furthermore, we study the limit model as the strain gradient terms tend to zero. Under stronger regularity assumptions, we show that the evolutions converge to the ones for the coupled elastoplastic damage model studied in Crismale (ESAIM Control Optim Calc Var 22:883-912, 2016). The author wishes to thank Gianni Dal Maso and Giuliano Lazzaroni for many helpful suggestions and discussions. He also gratefully acknowledges a discussion with Stefano Almi, who brought to his attention A. Giacomini’s paper on Gurtin–Anand model. This work is part of the Project “Calculus of Variations” 2010–11, supported by the Italian Ministry of Education, University, and Research. 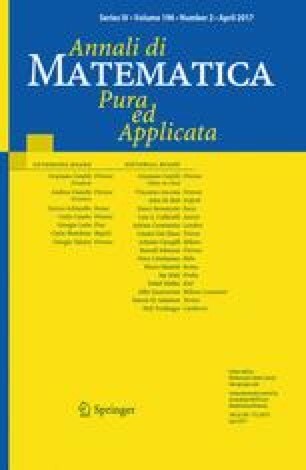 The author is member of the Gruppo Nazionale per l’Analisi Matematica, la Probabilitàe le loro Applicazioni (GNAMPA) of the Istituto Nazionale di Alta Matematica (INdAM).